How much more fortunate can I get? 8.8.8.8.8, that's as Chinese as Chinese can be. So the Opening Ceremony came and went without much of a hitch. The smog lost in its valiant battle to douse the Chinese Olympic endeavour and was seemingly blown away by the massive pyrotechnics and very stunning LED technology put to use. I just wonder if all that fireworks would have possibly added to the pollution the athletes would have to deal with the next day! Nevertheless, the Ceremony did a more than decent job rousing strong pro-roots, i.e. pro-Chinese sentiments for me as I felt instances of connection with my lost heritage. What I found particularly gripping was when little kids representing the 56 ethnic groups of China passed on the Chinese flag to a squad of Chinese soldiers - symbolic in what direction, I'll have to leave it to the minds of all that saw that. To digress, I must applaud the dancing/cheering girls for keeping up that energy for like 2 hours cheering on all the marchpast teams. Most looked evidently worn out from the repetitive moves accompanied by repetitive (thematic) music from around the world. But kudos to them for keeping the smiles on. Another point of digression (yet it could be of cultural significance) is how the Chinese love the concept of flying around on wire. Apparent since the days of Wong Fei Hong-esque martial arts flicks, this was clearly extended to this opening ceremony, which coincidentally was directed by Zhang Yimou (famous for his ancient China flicks, with yes, flying people all over the place). We had flying damsels, astronauts and even a flying former Olympic gymnast lighting the Olympic flame. Another pertinent point was that of Taiwan. For some background on the origins of tension between China and Taiwan, read here. Otherwise, proceed to read below! "During the Beijing Olympics, if China-Taipei is used or appears at the Olympics venue, we will walk out the games," Tai Hsia-ling, director of the Sports Affairs Council, told a cabinet meeting. "Since the Los Angeles Olympic Games, the Taiwan team has been using the name Chinese-Taipei at every Olympic Games. China must respect the IOC decision," she said. 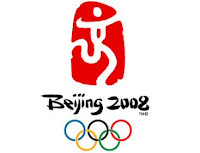 Tai made the remark because in the run-up to the August 8-24 Beijing Olympics, the Chinese media has been referring to the Taiwan team as the China-Taipei team, not the IOC-approved Chinese-Taipei team. Although the two names look similar to foreigners, it is very sensitive to Taiwan because China-Taipei means Taiwan is part of China, while Chinese-Taipei means Taiwan is part of the Chinese ethnic group." This last point's extremely pertinent as it provokes the question of what it means being Chinese. Is it an ethnic matter, a geographical matter, a socio-geographical matter, the list goes on. Now the hunt begins to discover the thoughts of overseas-born Chinese after watching this massively "China is Back" rendition of grandeur, exuberance and sheer spectacular. 2008 drummers of the opening act. 110,000 policeman and security forces on standby. Massive figures, no?